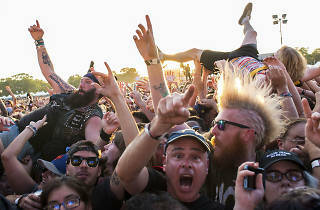 Day two of Riot Fest was characterized by some truly gorgeous late-summer weather and a simmering sense of anticipation for headlining act Morrissey. For some attendees, the singer’s appearance was their sole reason for making the trip to Douglas Park, while others seemed convinced that the notoriously fickle frontman wouldn’t even show up. Organizers went so far as to institute a two hour ban on the cooking (and sale) of meat by Riot Fest vendors to ensure that Moz would take the stage—thankfully, they succeeded. But the former Smiths frontman was far from the only notable name on Saturday’s bill, which boasted a rousing early afternoon set from Canadian punks Fucked Up, two members of the Wu-Tang Clan (GZA and Method Man) performing individually and the return of bespoke Swedish garage rockers the Hives. Career-spanning sets from long-running So-Cal punk rock act the Descendents, indie stalwarts Death Cab for Cutie and hip-hop luminary Nas provided options for anyone without a taste for Morrissey’s maudlin pop. 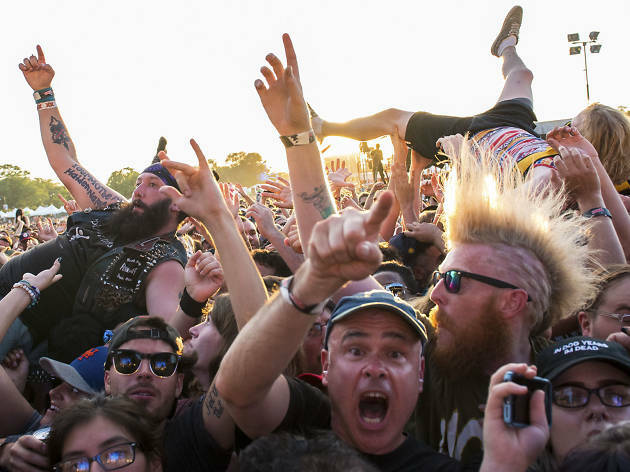 Take a look at our best photos from Saturday at Riot Fest, including our favorite bands and faces in the crowd.